When packing your things for traveling, there is one thing that you should never forget to bring – that is a dry bag. This item is every adventure enthusiast must-have as it keeps their things dry and protected. Whether they are going to the beach, crossing the river, or trekking the mountain, a dry bag is an essential travel gear. If you haven’t bought this amazing bag, you might be asking yourself “how useful can a dry bag be for my trip?” or “what size dry bag do I need?” All of your questions will be answered through the following tips for buying a dry bag. In buying a dry bag, the first thing you should ask yourself is what size of dry bag do you need or the availability of sizes a brand offers. This is because dry bags come in as small as 5L up to 40L or more. The smaller items such as your smartphones, money, and camera, are more suitable for smaller dry bags so that you can easily find the things you need. On the other hand, if you want to put all your things in one dry bag, you should opt for the larger ones. Usually, a 20L bag could provide enough space for your clothes and towels when they are nicely folded. Should there be not enough space, you should consider separating your belongings to multiple dry bags. They usually have an inexpensive price; they would not affect your budget that much. The next thing that you would want to know is what kind of materials do the manufacturer use. This factor greatly determines the level of durability and lightness of the product. 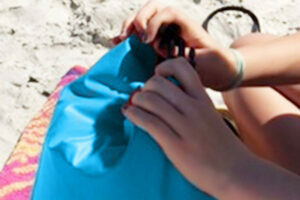 Dry bags are usually made of two common materials, which are vinyl and nylon. The vinyl material is more known for good durability. It is generally stiff and heavy, suitable for things that need to be well-protected such as a camera. One of the most trusted brands you will find for vinyl dry bags is SealLine. On the other hand, if you prefer a lightweight and flexible dry bag, you should choose dry bags made of nylon. This material is not that durable, but it has weight-saving benefits. It is foldable and handy, too. Generally, dry bags are not ideal for an extended submersion underwater because they cannot be completely sealed. However, their closures are enough to keep your things dry when the dry bags are partly submerged in the water. This is because the dry bags have waterproof reinforced and taped seams. Two closure types that you should take into consideration are the roll-top and zipper seal. The most common type is the roll-top closure because it can seal water more effectively. You simply have to roll the top for 3 to 5 times and then snap the buckle, whilst making a handle. You can clip or link multiple roll-top dry bags through the handle and secure all your belongings in one place. Meanwhile, the zipper seal is also effective in sealing the dry bag and protecting it from the water. However, you have to check if a product has a proper lubrication to ensure that the seal will work correctly. Another important feature that you should consider is the carrying straps. Many dry bags include removable and attachable shoulder straps. You may use two to form a backpack or just one to form a crossbody backpack. Some manufacturers do not have this kind of options so you should really check it before buying one. 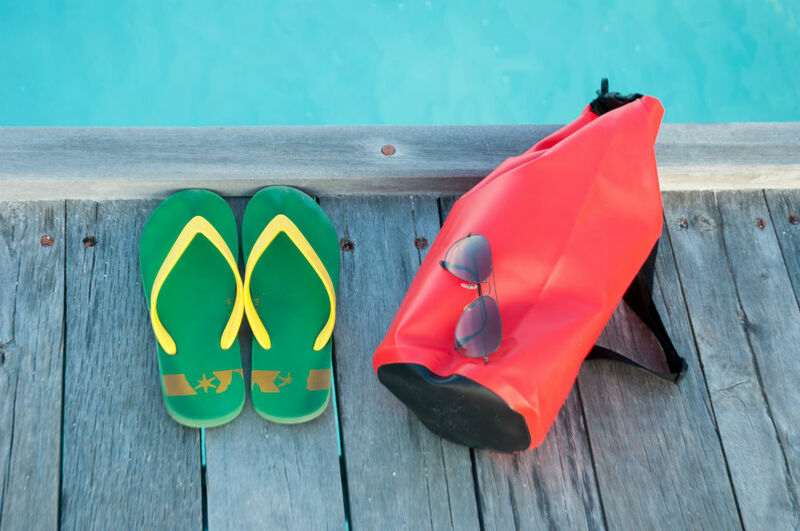 The straps are a great help in carrying and transporting multiple bags to and from your boat or any destinations. Aside from asking “what size of dry bag do I need?” you should also ask yourself “where am I going to use this dry bag?” This is an important factor because it may determine the quality and the price of the dry bag. 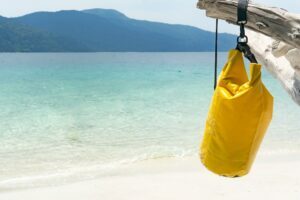 If you are a frequent kayaking or boating enthusiast, then the dry bags you have to buy should be able to withstand the strong waves and current. Therefore, look for brands that have strong construction. On the other hand, if you are looking for something that can protect your things from an occasional drizzle or sudden downpour, then a lighter and packable dry bag will do.